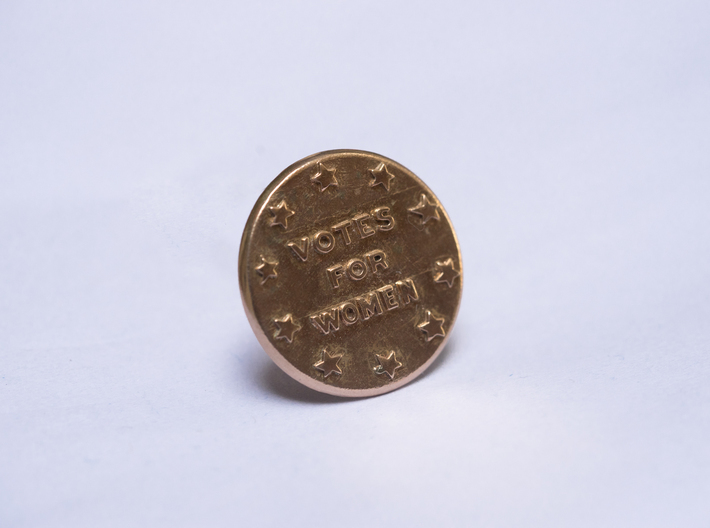 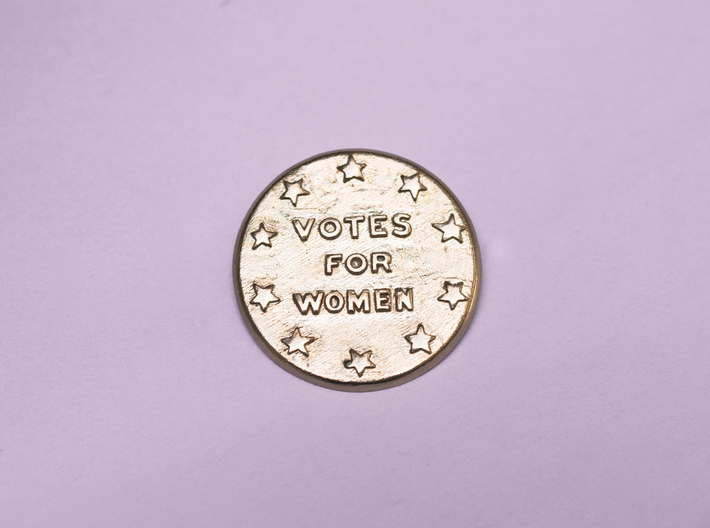 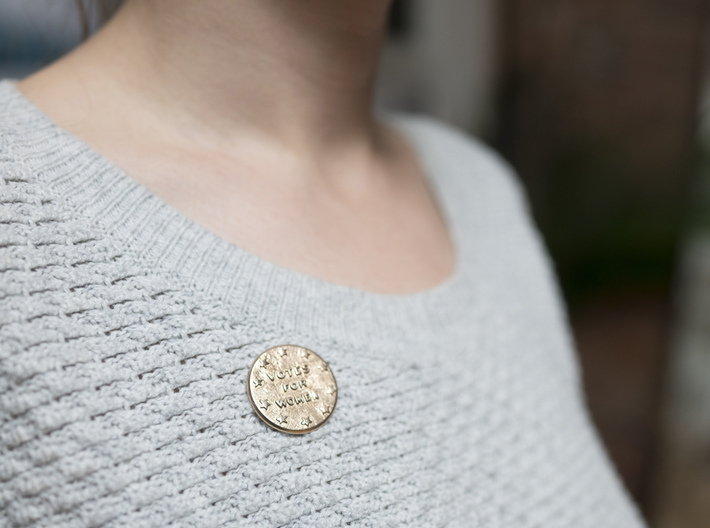 This design is modeled after a 1914 suffrage button from the collection of the National Museum of American History. 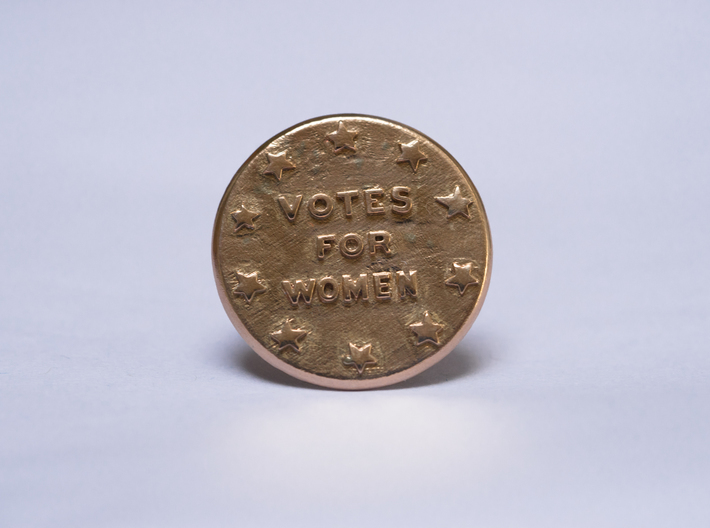 The stars around the slogan represent the 10 states that, at the time of the button's original production, had already granted full women's suffrage. 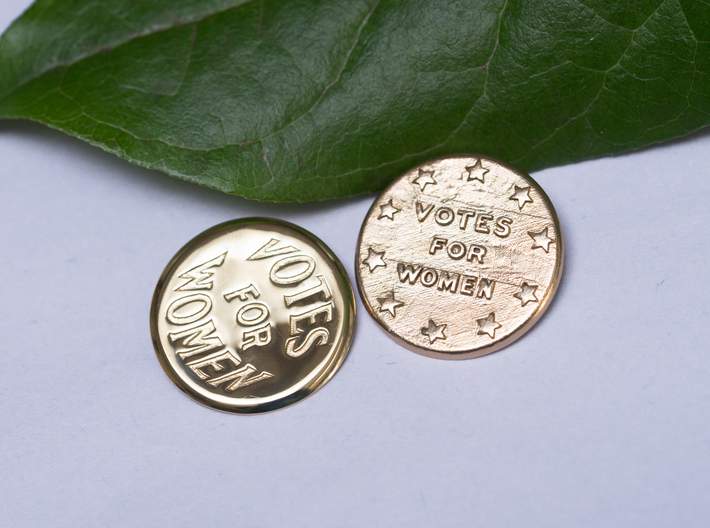 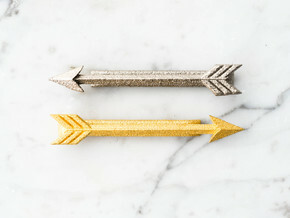 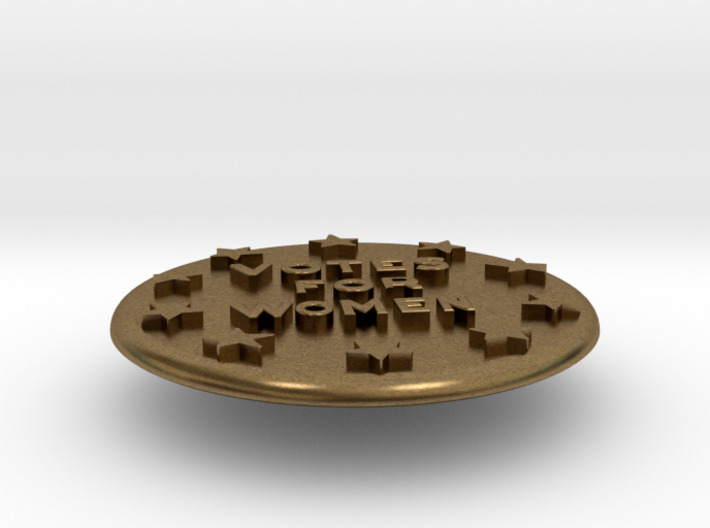 Back- this pin features a 1/4" long, .8mm wide post (similar to a post earring). 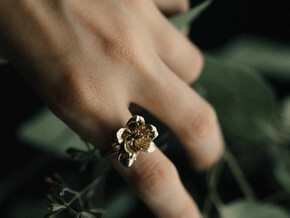 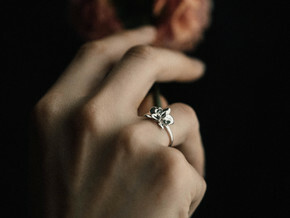 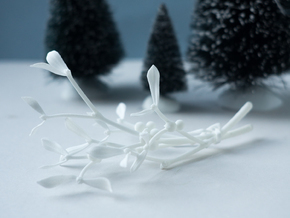 It ships from Shapeways without a back, so we recommend pairing it with a plastic earring back like this for comfort, but it can be used with metal earring nuts as well.